I’ve been loving the extremely hot temperatures in Belgrade this August. The day time temperatures have been up into the 90s Fahrenheit and even the nights have been in the 80s. We have been spending as much time as possible in the water, both at Ada Ciganlija and in swimming pools. Owen is shown above diving into the pool at a friend’s house. This weekend we went to one of the many “green markets” in Belgrade, this particular one in Blok 44 in New Belgrade. 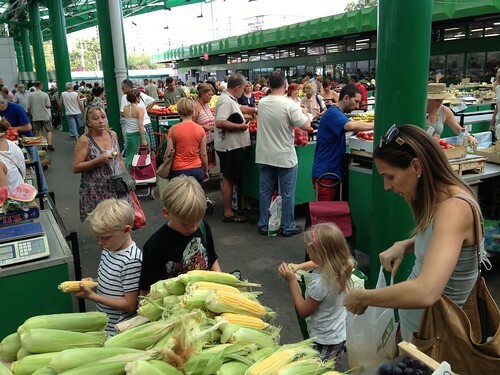 It is funny how in the US they make a big deal of the “Farmers’ Markets” and in Serbia they are everywhere. Many of the stalls do buy directly from local farmers as the ties to the countryside and small farms have not been lost like in the USA. The family is shown below shucking corn. 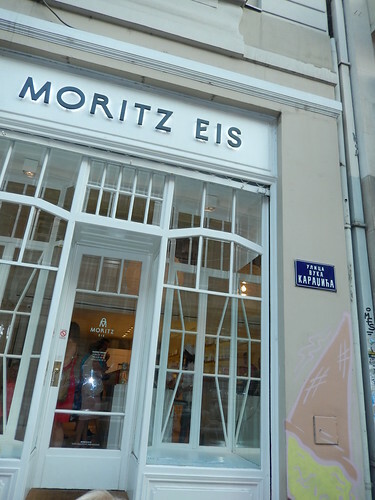 Finally, our recommendation for the best ice cream in the city, Moritz EIS located downtown on Ulica Vuka Karađića near the walking street. The Austrian owner has high quality homemade ice cream that come in interesting flavors. There is a nice outdoor area to sit and it is convenient to go for a stroll afterwards down Knez Mihajlova Street.